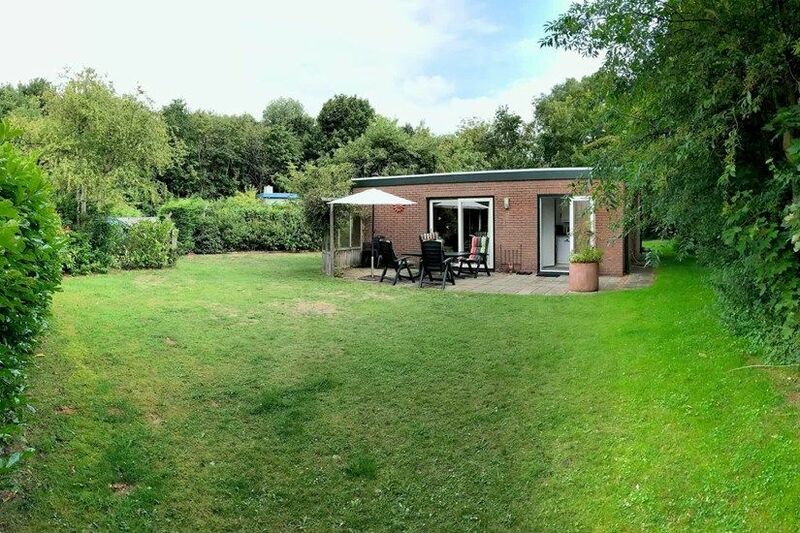 This completely detached bungalow ("The Hawthorn") is located in a in a small wooded area park at the center of Renesse and the beach. An all-weather table tennis table is compiled in the backyard and garden furniture is available. The house is fully equipped for 6 people and has a spacious lounge / diner, kitchen, three bedrooms and a bathroom with a shower and a toilet. The house is located 400 meters from the beach and 600 meters from the center of the resort Renesse. Alles war klasse. Nur die Heizung im Schlafzimmer ließ sich nicht ausstellen. Danke für Ihre Bewertung. Wir freuen uns auf ein Wiedersehen. Renesse is one of the oldest seaside resorts of Zeeland, after Domburg. When tourism started to grow rapidly from 1900 onwards, local entrepreneurs responded to that cleverly. On a small scale, arrangements were made for the tourists. One example of this was the opening of the first “verversingstent” (refreshment tent), the predecessor of the present beach pavilions. In the verversingstent people could, for example, hire bathing suits. Renesse is situated on the north of the island Schouwen-Duiveland. Due to this perfect location, it is still increasing in popularity. Today, the village and its surrounding areas offer entertainment for both the young and the old such as beach pavilions, terraces, shops and night life facilities. Off the coast, broad sandbanks can be found on which you can regularly see the seals sunbathing. The vast North Sea coast is perhaps the most beautiful near Renesse where the sandy beach is almost 20 kilometers long and hundreds of meters wide. The broad sandy beaches here are almost 20 kilometres long and up to hundreds of metres wide around the “Verklikkerduinen”. This dune area is characterised by wet dune valleys and various sorts of colourful and fragrant dune plants and flowers. The area is popular among rabbits and form a popular breeding ground for many birds. The multiple walking trails in the immediate surroundings of Renesse lead you through the beautiful landscape, through herds of wild Shetland ponies and Scottish Highland cattle. In Westerschouwen this area merges into the biggest forest of Zeeland: the “Domeinen”. Along the same coastal route, you can also find one of the most beautiful mountain bike routes of the country. The surroundings of Renesse are perfectly suited for long cycling trips through a landscape that you will hardly find anywhere else in the country anymore. The many country roads take you through characteristic villages and offer you safe cycling routes. Two of the best-known sights in Renesse are the Gothic “Jacobuskerk”, which you can find in the old town centre, and “Slot Moermond” which dates to the 13th century. The castle is located in the middle of the 45-hectares nature reserve “Landgoed Moermond” and is only used for parties and celebrations. Unfortunately, it cannot be visited. Renesse has a large supermarket, a pharmacy, a bakery, a bike rental shop and a large variety of shops, restaurants and terraces. For young people, there are plenty of entertainment facilities. On the outskirts of the village you can find the “Transferium” where you can park your car for free and make use of free public transport to the beachside, the village centre and the campsites during the summer season. The Old-Dutch towns Zierikzee, Veere and Middelburg or the other well-known seaside resort: Domburg are also worth paying a visit. For more information about Renesse and its surrounding areas, we would like to refer you to the local tourist office. The stated rental price includes a clean accommodation on arrival, gas, water, electricity and use of WIFI Internet.